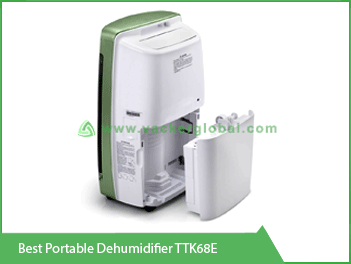 Our small portable dehumidifiers are used for home dehumidification of air. These dehumidifiers for home are small, stylish models. These work on the principle of condensation also known as refrigeration. 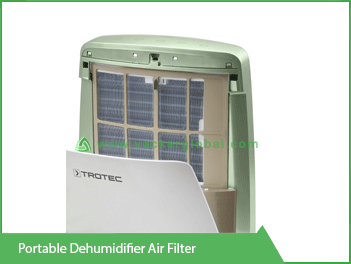 Why to use Portable dehumidifier for home? Mould formation on walls, corners etc. White fungus on shoes, leather items etc. White powder on suits, velvet clothes etc. Sweating of glass windows and doors, which is condensed water. Mould formation on artefacts, musical instruments, wooden furniture. High humidity will cause respiratory illness such as asthma. Humidity above 65% has adverse effects on human beings. These are effects of high humidity. Humidity is basically moisture content in the air. So high humidity means high moisture content in the air. Humidity can be reduced only by home dehumidification of air. 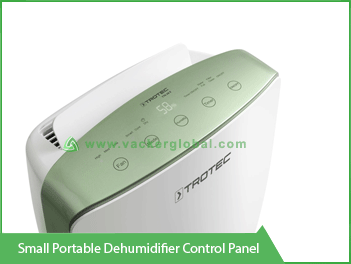 Various types of small portable dehumidifiers are used for homes. 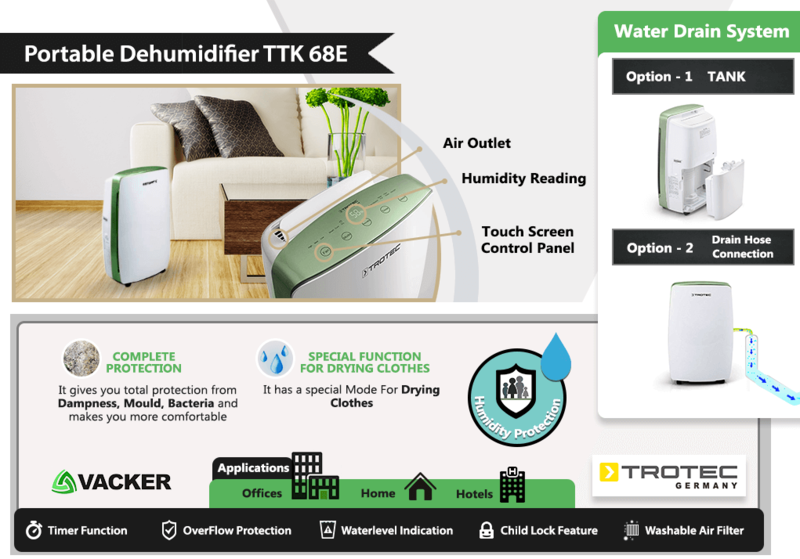 Model TTK 40E is one of our best portable dehumidifier for home dehumidification. Dehumidification of air is achieved by the principle of condensation.The moisture content in the air is condensed and converted into water. This water has to be drained out once the container is full. Also, you can connect a drain pipe so that manual intervention is not required. Features of this model are listed here. The unit can work at a room temperature from 5° to 35°C. The unit can work at a humidity range of 30% to 80 % RH. The unit is ideal room sizes up to 45 m² and 110 m³. The Air flow rate produced by the machine is 130 m³ per hour. Electrical automatic defrost is available. The operating electrical voltage is 230V, at 50Hz. The electrical consumption is 0.345 kW. Water tank has a capacity of 4 Liter. Once the tank is full, the dehumidifier automatically switches off. Also, there is a warning light on the screen. This machine is extremely silent at a sound level of 43 dB. This sound is less than a table fan. If you are looking for an economic solution, this will be the best portable dehumidifier in its range. Dehumidifiers are the only effective way of home dehumidification. 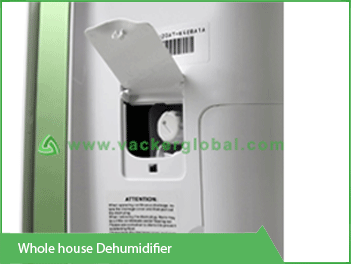 A whole house dehumidifier is designed for dehumidification of whole house. The same one can be used for villas. 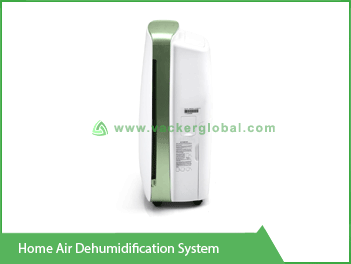 However, the effectiveness of the air dehumidification depends on various factors. Eg. Opening and closing of various doors and windows affect the performance of a whole house dehumidifier. 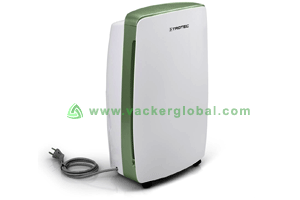 Are you looking for dehumidification of air only in certain rooms such as a baby room? In such case, it is better to go for a small dehumidifier instead of a whole house dehumidifier.